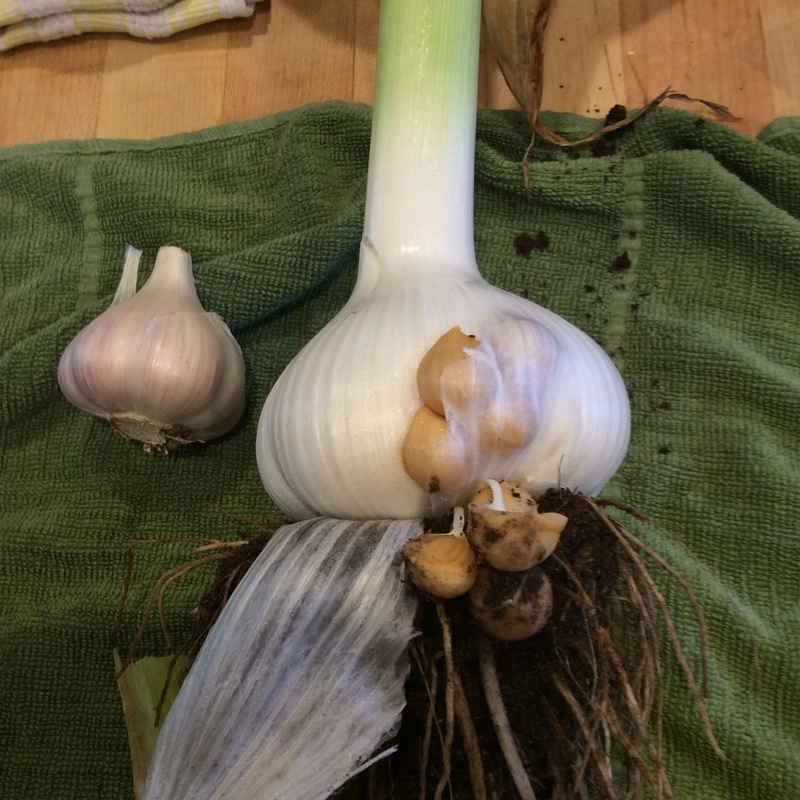 Last fall was the first time that I ever planted elephant garlic. 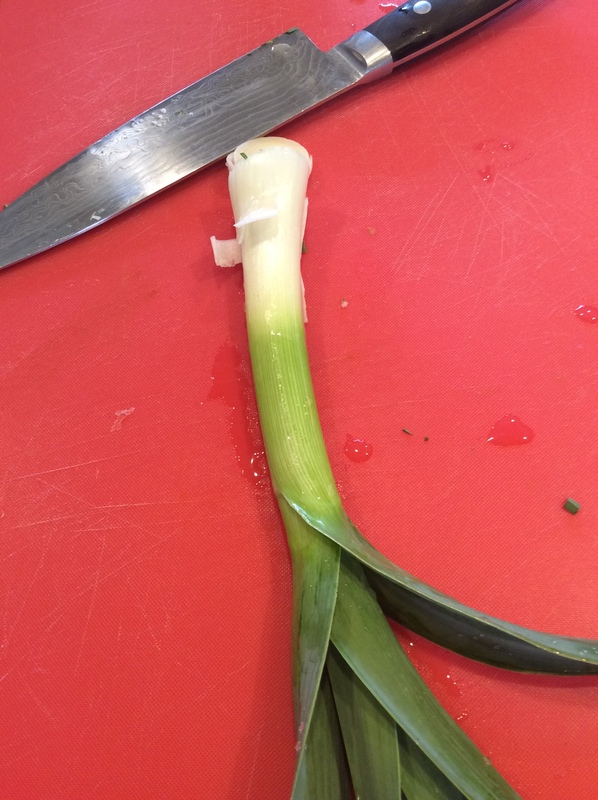 This enormous bulbing garlicky-tasting leek came from Nichols Garden Nursery. I planted in early fall and scattered lettuce seed over the bed to use the floor space in the spring. The garlic made fall top growth, but I left it to grow. I have verified to my own satisfaction that if they are allowed to bloom the bulbs will be much smaller, so keep that in mind. 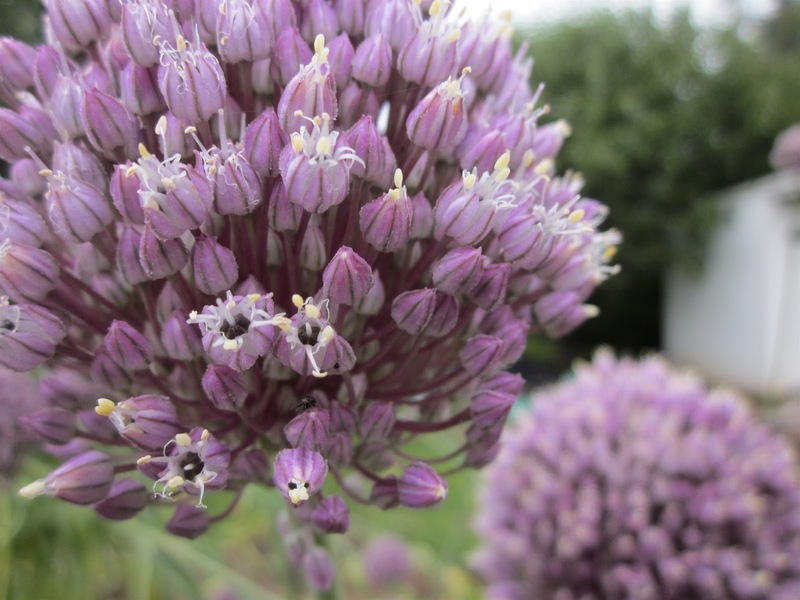 The individual flowers make a tasty crunchy garnish, and are adored by bees, so they help carry pollinators through the hottest part of our summer, which is much appreciated. Finally the tops started to yellow and bulb harvest began. Digging them is great fun; the enormous bulbs give you a sense of buried treasure. One must be quite a gardener, one feels, to produce a plant like that. So much of the time gardening is humbling that a little ego-aggrandizement does not come amiss. The kitchen use is another matter. 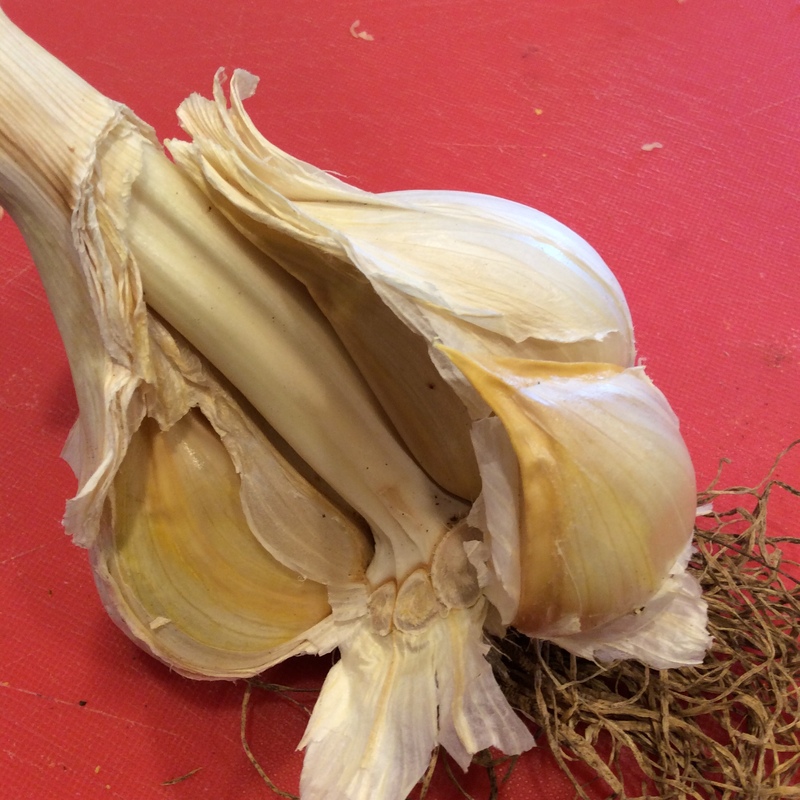 After a few tries, I can’t take to elephant garlic cloves either raw or cooked. The flavor is weakly garlicky with a bitter edge whether raw or cooked and does no dish any good, in my opinion. One online gardener has suggested that I need to hold it for a month or two, until this quality subsides. We’ll see. The greens are so good that I’ll continue to grow a lot of it, and next spring I’ll let myself harvest a lot more greens. 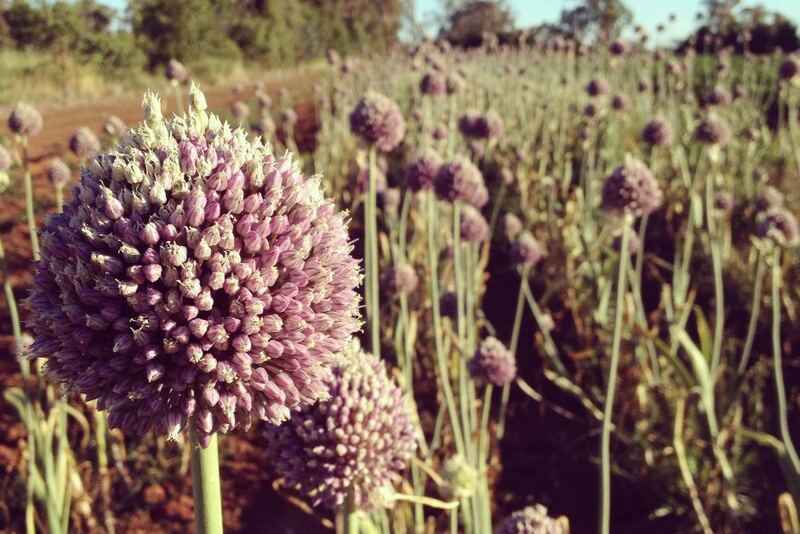 I plan to divide my elephant garlic patch in two, and try two different growing methods. In one half, I’ll continue to grow it in the standard garlic fashion, digging and dividing and replanting each fall, and in the other half I’ll just let it perennialize and pull green garlic at will and see what happens. Of course I’ll be reporting back. 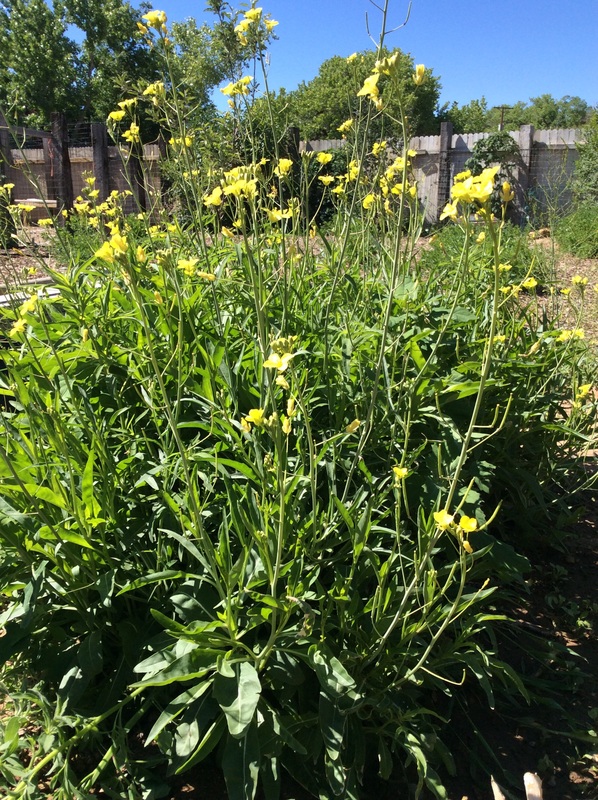 I have written recently about breeding my own brassica landrace, and I was happy enough that some of the plants survived the winter, made a nice crop of spring greens, and set seed. Since then, to my surprise, after the seed dried down a few of the plants produced a whole new crop of tender greens. So far I have been eating greens from these three plants since last summer, and they still seem to be going strong. It goes without saying that I will choose the seeds that these plants set for next year’s planting, and also will be watchful about whether they set another crop of seed and live through another winter. 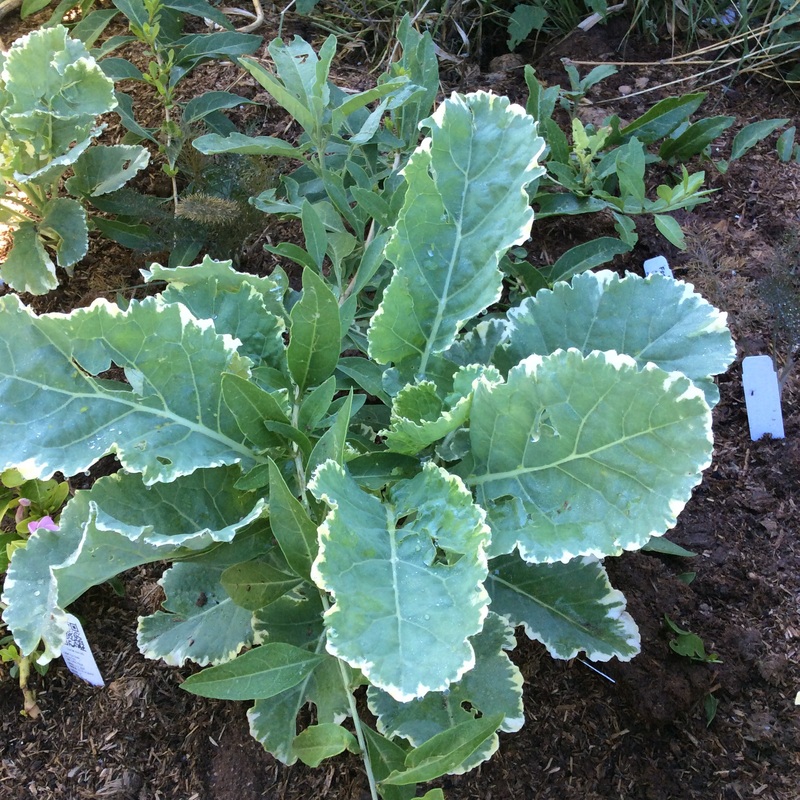 I am also trialing a few plants of the new perennial kale introduction, Kosmic Kale, shown below. 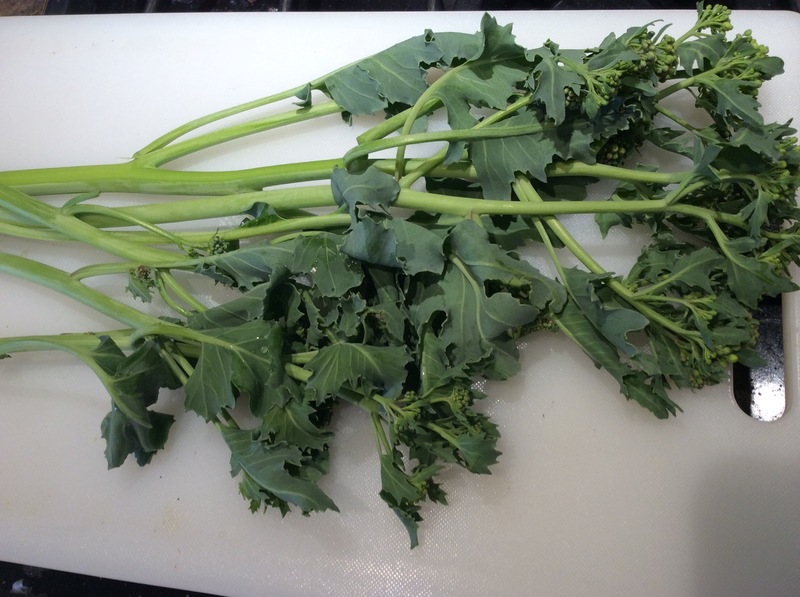 I wonder if the delicious third-growth leaves produced by my brassica landrace might not be preferable to Kosmic, which (so far) is not distinguished for deliciousness. My main point is, give your plants the room and time to surprise you. 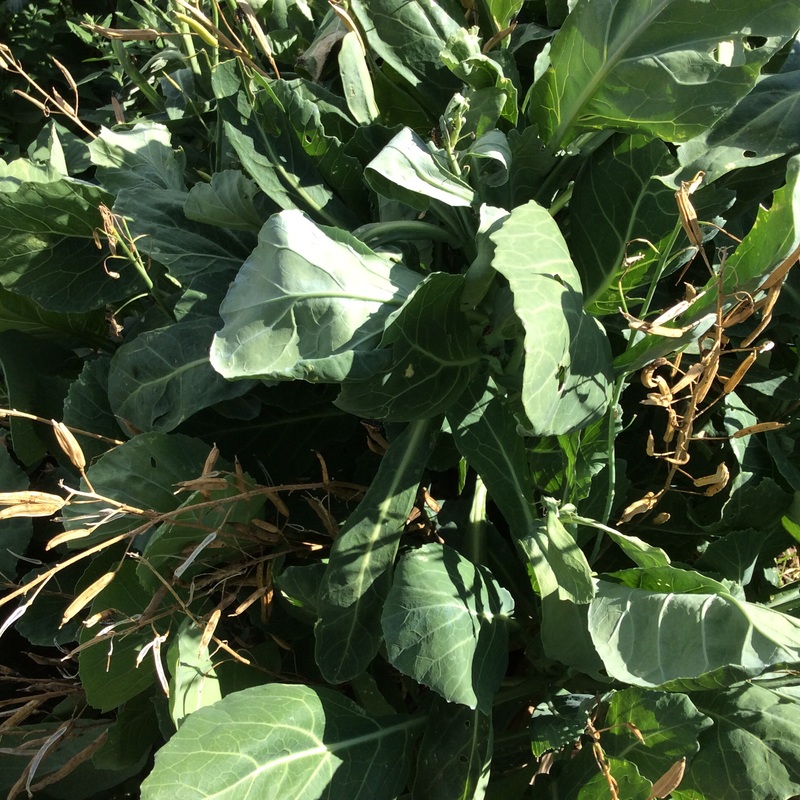 If I had pulled the brassica crosses out after harvesting seed, I wouldn’t know about their delightful late-summer greens. When we let nature teach us it’s amazing what we can learn. I have written frequently about annual arugula and how delicious, versatile, and easy it is. A few years ago I bought a packet of seed for perennial arugula, Diplotaxis tenuifolia. 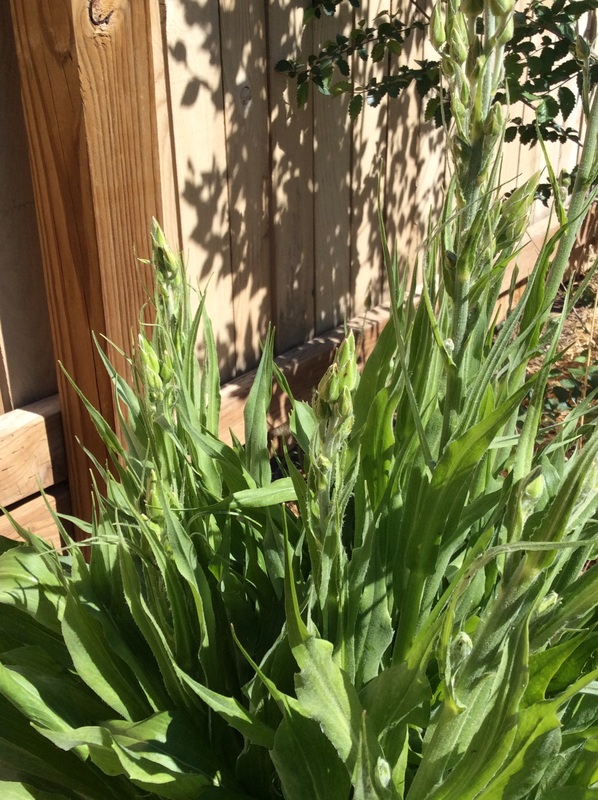 I planted them in a likely spot and then, as so often happens at my place, I was overcome by the sight of bare earth, forgot I had sown seeds already, and planted something large and rambunctious there. At the end of the gardening year I cleared the debris away and found tiny wispy plants that I recognized as the perennial arugula. 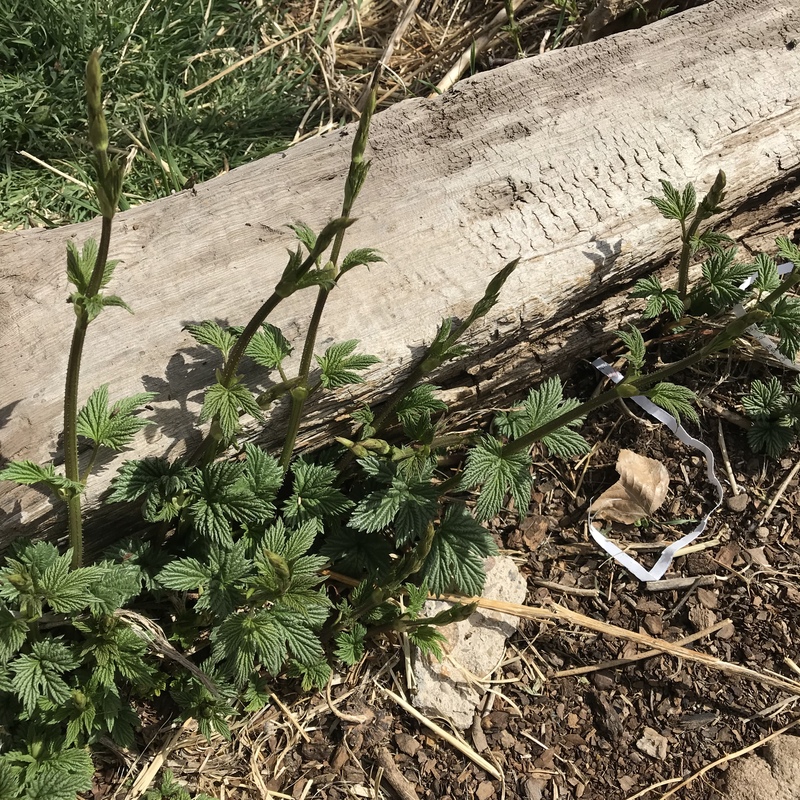 They survived the winter, resprouted tentatively in the spring, and then all of a sudden they were a mass. A thuggish mass, ready to overpower anything in the way of their gangland fervor for territory. And they were, literally, hot. The initial flavor when I chewed on a leaf was pleasantly mustardy, developing gradually to a burn in the back of the throat as I swallowed that wasn’t painful, but certainly wasn’t pleasant either. While I puzzled over how to use them, they bloomed, and the delicately pretty sulfur-yellow blossoms drew bees from miles around. So, needless to say, they were kept. Bring a large saucepan of water to a boil; add salt. Combine spinach, shallots, watercress, parsley, chervil, chives, and tarragon in a fine sieve. Carefully place sieve in boiling water until greens are wilted, about 30 seconds. Remove, and place in ice-water bath to cool, or hold under very cold running water for several seconds until cool. Remove, and squeeze dry. Transfer to the food processor. Add cornichons, anchovies, capers, garlic, and cayenne pepper. Season with salt and black pepper. Process to a smooth paste. Add cooked and raw yolks, and butter. Process until thoroughly combined. Transfer to a medium bowl and slowly whisk in olive oil. Add vinegar, and whisk to combine. Adjust seasoning, if necessary. This will keep a day or two in the refrigerator, and two months in the freezer. 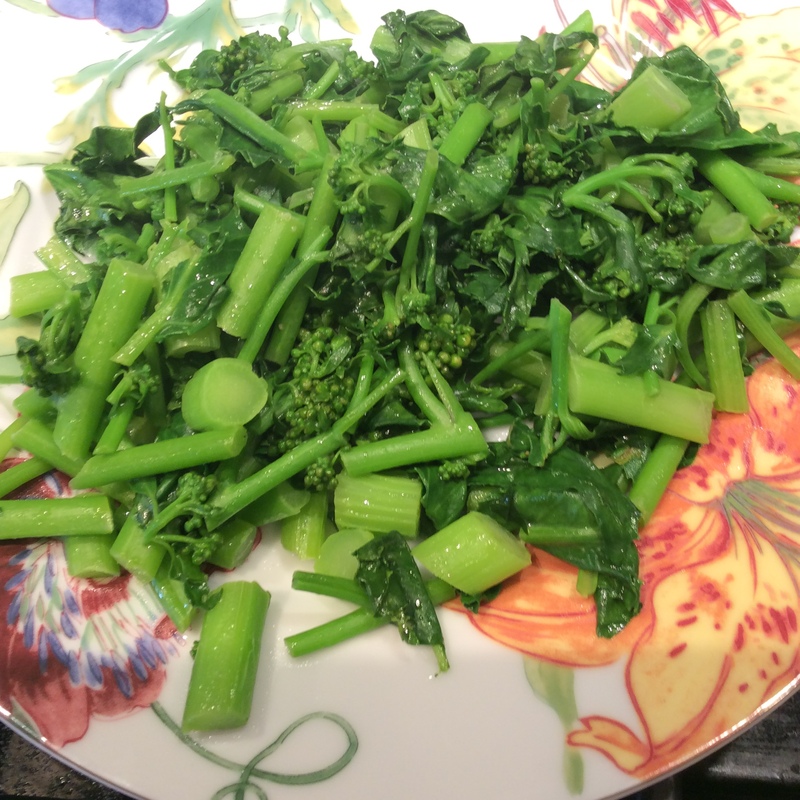 My tweaks: I leave out the spinach leaves, watercress or nasturtium leaves, and chervil, and use about 25 perennial arugula leaves instead, blanched with the other seasonings as described above. I increase the tarragon to a quarter cup of whole leaves, and I also use a few large cloves of confited garlic rather than one raw clove. I use five hard-cooked egg yolks so that I don’t have to worry about harming an immunocompromised guest. And sorry, Jeremiah, but I do the whole thing in the processor and don’t whisk by hand at the end. I keep the butter in roughly formed little bars in the freezer, tightly wrapped, so that I can cut off large (LARGE) pats with a heated knife and plop them on steaks or grilled salmon and heat briefly under the broiler just before serving to soften and partially melt the butter, or on steamed vegetables, or on nearly anything. I don’t eat the carb-y stuff anymore, but if you do, it is wonderful on chunks of grilled baguette and transcendent on handmade egg linguine with grated Parmesan. If you try this with frozen Montpellier butter and don’t want to take time to thaw it, try grating it on a coarse grater before tossing with the linguine, piling on the salmon, or adding generously to the cooked greens. Five years ago, when we first moved to our current property, I planted some scorzonera with the idea that it would be a good root vegetable for fall. When fall came, I dug up a root and prepared it, and found it stringy, hard to prepare, and not all that interesting to eat. I had two good-sized plants, and I never got around to digging up the second one. 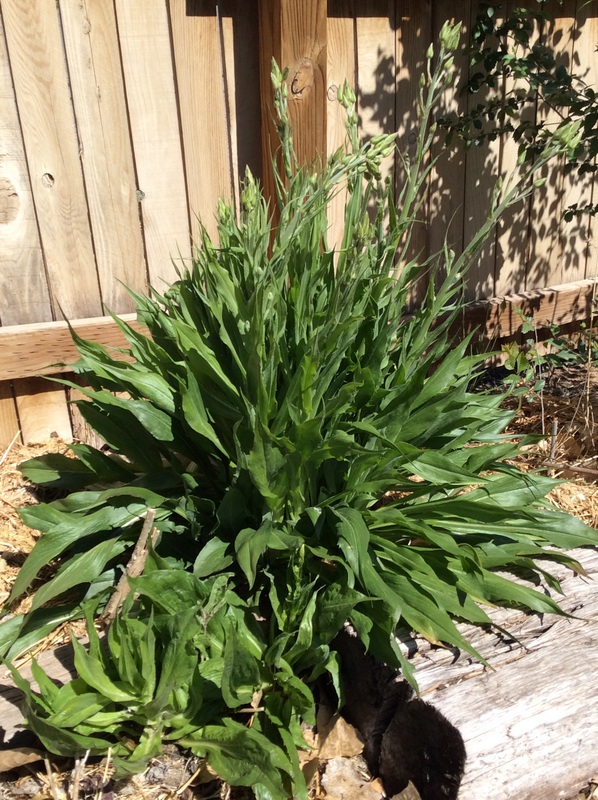 The next spring it sent up attractive green leaves, and although it was in a spot that I never remember to water, it flourished all summer on the 11″ of rain that we get in an average year. Impressed with its stamina, I left it in place. 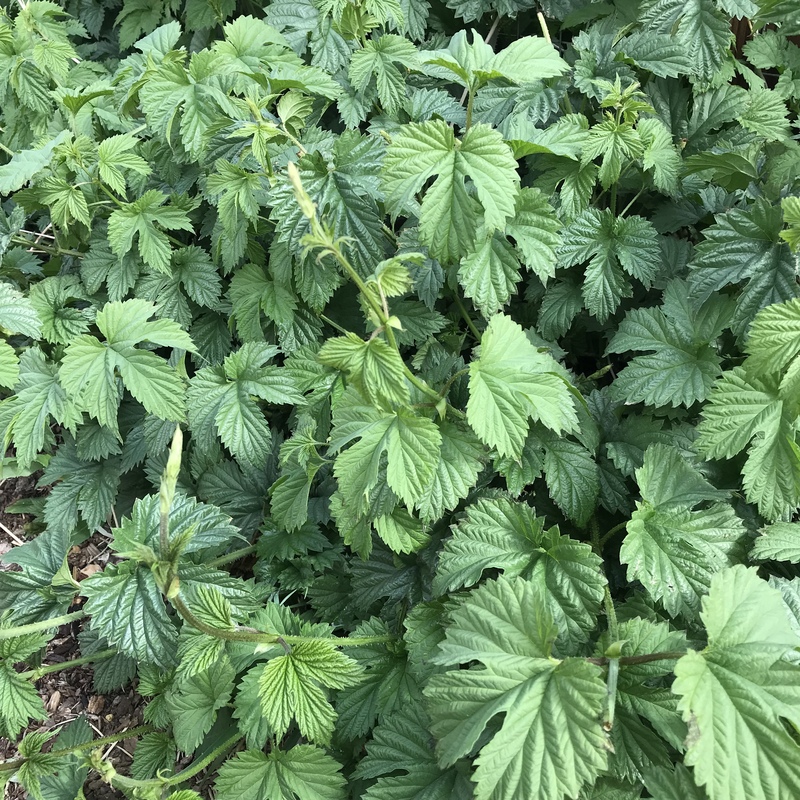 By the time it came up the third year I had read that the leaves were edible, so I tried them but found them undistinguished and didn’t bother with them again. The plant continued to earn its place by being bright green and trouble-free. 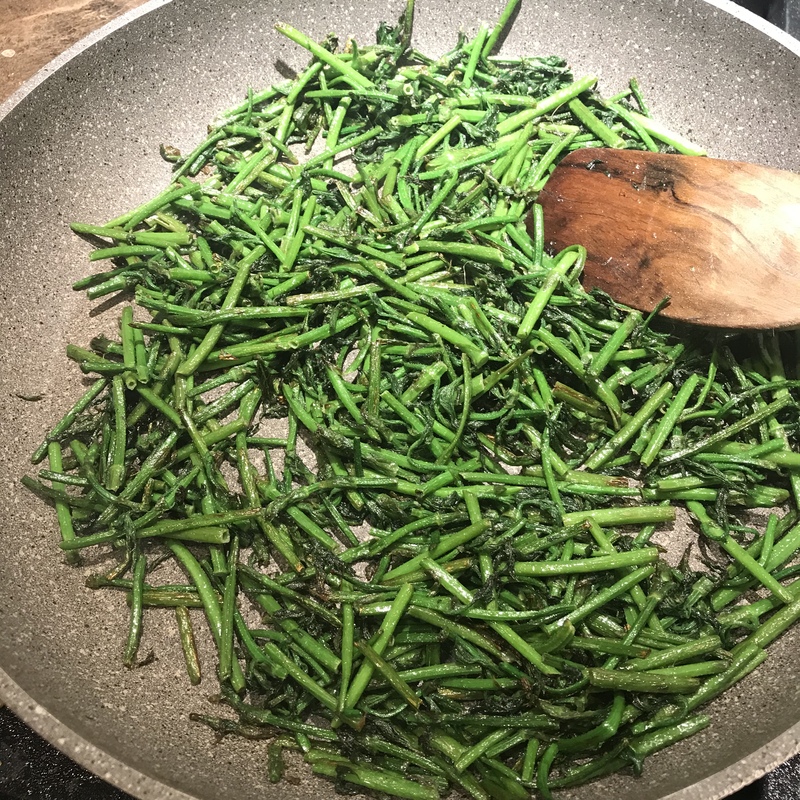 This year, its fifth year, the plant began to send up bloomstalks at a time when I had a free afternoon and a propensity to experiment, and I discovered scorzonera asparagus, the plant’s culinary reason for existing. 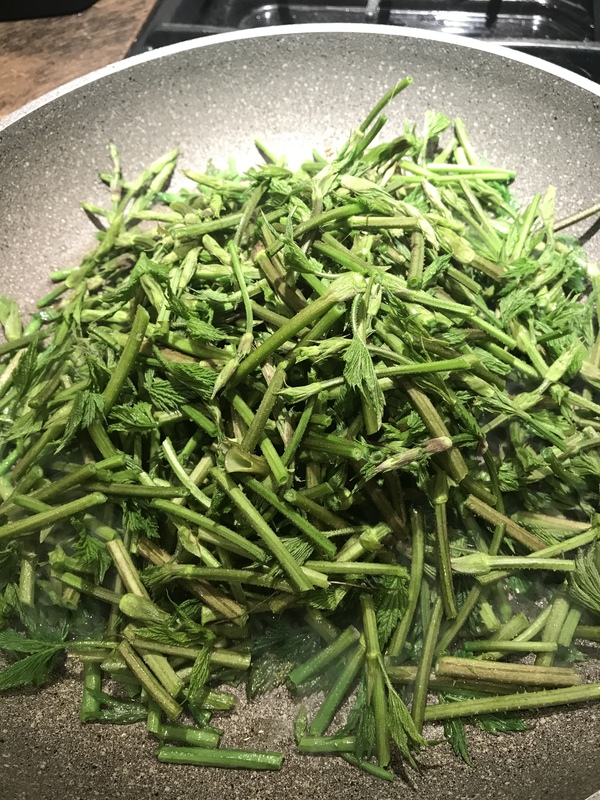 Gather the top 4-5 inches of each scape while the buds are still tightly closed and held close to the stalk, wash well, and toss into a hot skillet with a generous glug of good olive oil and salt to taste. Turn the heat down to medium now. Turn them often so that they brown in spots but don’t blacken. Don’t walk away from the stove! 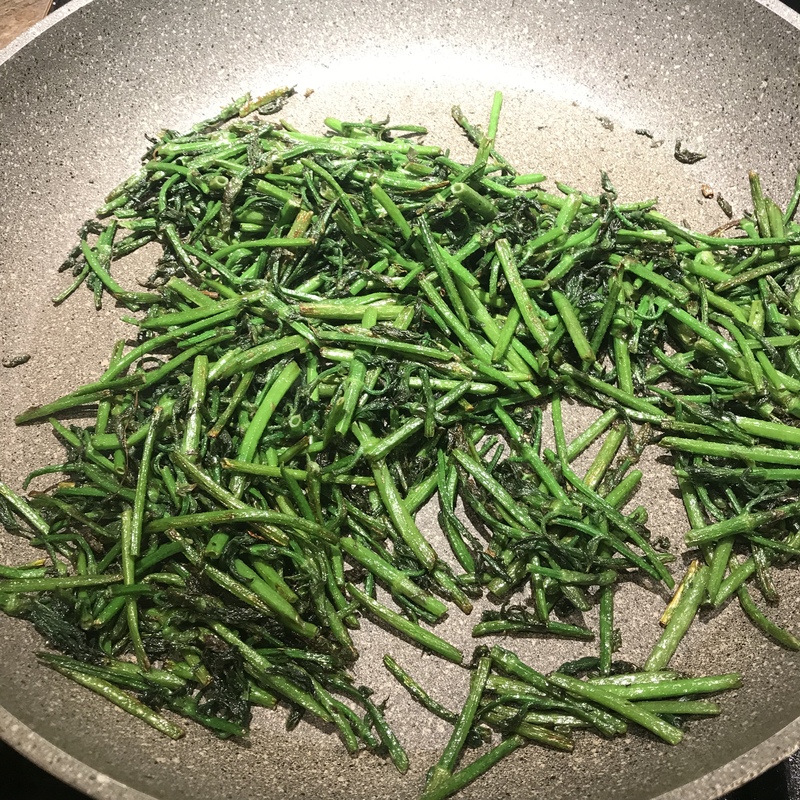 They are done when the leaf tips are fried brown and crispy, and the stalks are just cooked through. Eat promptly, as the semi-wild treasure that they are. I made a little plate of them to be a “cook’s treat” in the kitchen while I was cooking something else, and unwisely offered my husband a taste, which resulted in him eating most of them. They’re good. This tough-as-nails perennial grows in the desert with little care besides the initial planting and weeding when it’s small, and I plan to plant more. I do offer it some water to make it grow big and bountiful. I may have called the leaves “undistinguished,” but if other spring greens ever fail me, I guess I’ll be glad to have them. 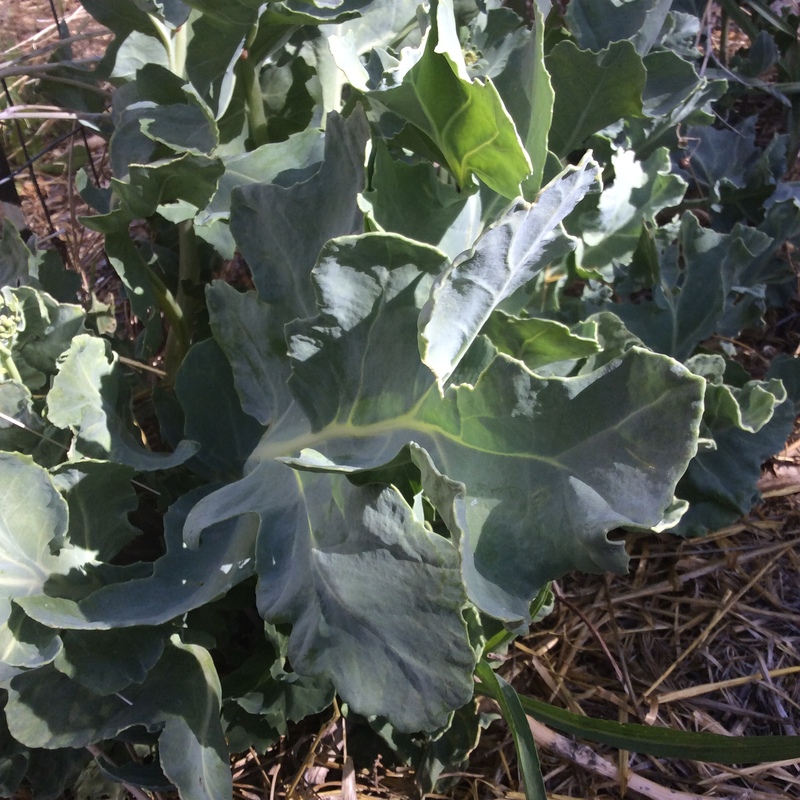 It took me a while to learn to use it well, but this plant earns its place in the food garden.